We’ve already shown you our interpretations of the Cadillac ATS Sport Wagon and ATS Convertible. 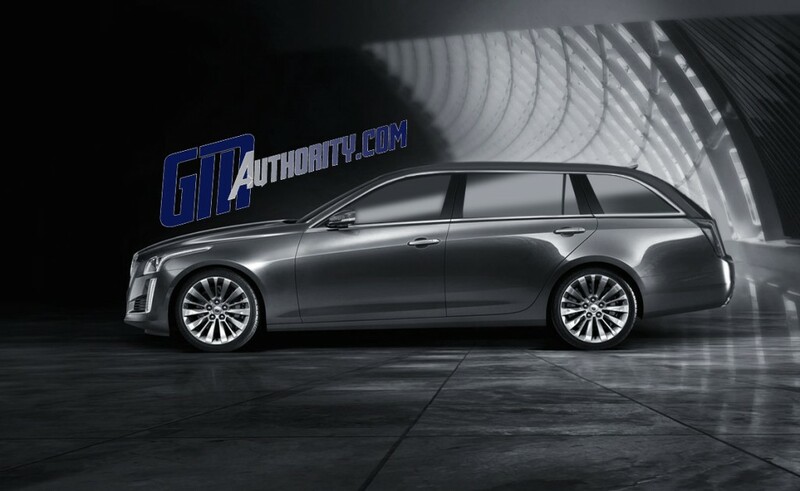 The next seemingly logical vehicle for us to dream up is the wagon variant of the third-gen Caddy CTS, a vehicle for which General Motors has yet to announce production plans. Taken as a whole, the elongated roof and additional rear windows aft of the C-Pillar, as well as the sloping D-pillar, work quite well on the new CTS, giving the vehicle a sporty yet luxurious appearance. In researching our rendering, we also found that all of the mid-size luxury offerings from Audi, BMW, and Mercedes-Benz use the same tail lights on the wagon as on the sedan, so we’ve proceeded to do the same on our conceptual design. What do you think? Does the wagon body look good on the all-new CTS? Talk to us in the comments below. Previous story Have 74 Died In Crashes Related To Faulty Ignition Switches? Again could, would and should do not mean anything. I wish you would stop with this as it is so misleading as some people have a hard enough time telling between reality and dream land. Lets just wait till GM as a say here and not disappoint anyone. We know at some point a wagon will emerge but right now Cadillac has many other higher volume projects to deal with right now. We will see something by the time they are ready to go back on a bigger scale in Europe. Its kinda looks like a hearst. How about you guys do a cts coupe rendering? And considering how everyone loved the Gen 2 CTS wagon but not many people bought it, it seems like a longshot that GM would even build a Gen 3 CTS wagon. So don’t get people’s hopes up unnecessarily GM Authority! 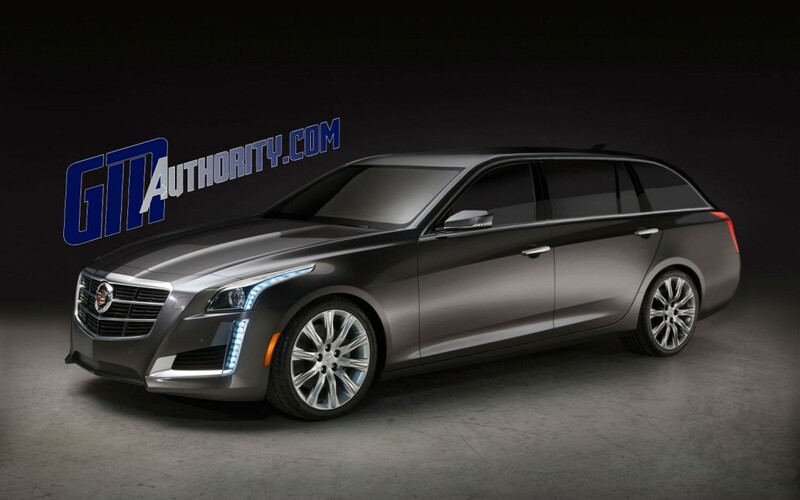 Well I do agree Cadillac will need a wagon but not till they are ready to go back to Europe. The reason we had the last one was for Europe but GM lost the distribution network and the car never left the secondary market here in the states. We will see one but it will be directed for Europe as a primary market and the states as a secondary market. I think that what they’re saying here is that since the Germans have the same lights on the wagons as they do on the sedans, GMA made them the same in their renderings. Not sure if that’s the way it would actually turn out, but I like how this one looks. Higher road clearance would be an asset, the CTS now is too low for country driving, especially in winter months. AWD, diesel, and rear facing 3rd row. I would buy it. Well that is one sold. The issue is before you invest in all of this you need to leverage out the Diesel and AWD on the Sedans. The next question is how many will they really sell? As for the third seat facing rear is it going to be worth the possible issues in crashes. I have wondered in the Tesla how well the third row people would fair in a hard rear end crash.